This week’s free pattern is for the girls – young and old! 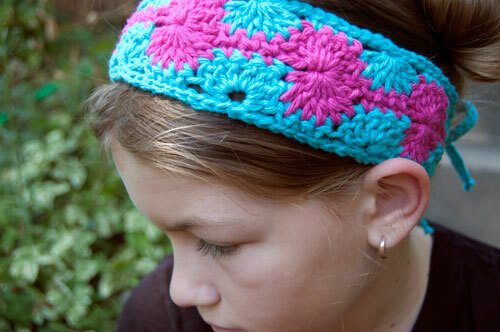 Because you’re always the right age for a beautiful handmade headband. And because in this heat, anything that keeps sweaty hair under control is a good thing! 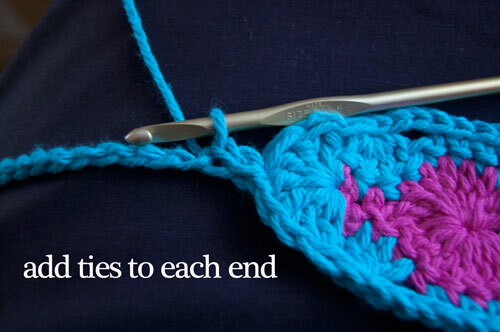 It’s a very quick project, made with a small amount of yarn – which means you can make one to match every outfit! 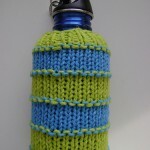 This pattern is offered in two sizes: for small children, and for tweens to adults. The only difference is the number of starting chains! My 10 year old is pictured above wearing the tween/adult size. With Color A, make starting chain: ch 47 for child, ch 57 for tween/adult. Row 1 (WS): Sc into the 2nd ch from hook, then sc into the next ch. *Skip the next 3 ch and work 7 dc into the next ch. Skip the next 3 ch, and sc into the next 3 ch after that. Repeat from * until 4 ch remain. 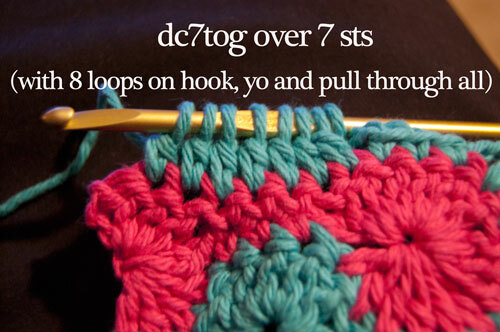 Skip 3 ch, and work 4 dc into the last ch, finishing the last dc stitch with Color B. Do not break color A. Ch 1 and turn. Row 4 (RS): Ch 3. Skip the 1st st and dc3tog over the next 3 sts. *Ch 3, sc into the next 3 sts. Ch 3 and dc7 tog over the next 7 sts. Repeat from * until 2 sts remain. Ch 3 and sc into each of the last two sts. Do not turn over, do not break yarn. Staying on RS, turn the headband 90 degrees clockwise to work into the end. Working into the center of the side, make 7 dc sts (shell). Turning headband another 90 degrees, sl st in each st of the opposite side (the original ch sts) to end of the row. Turning another 90 degrees, work another 7 dc shell into the center of the second end. Turning 90 degrees one last time, work a sl st into each st of the Row 4. 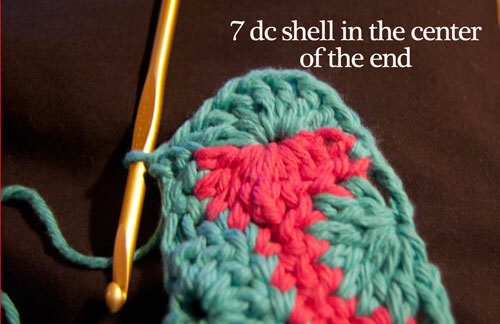 When you get the end, break yarn and use the seamless join to finish off, sewing into the first dc of the first shell. Weave in ends. Ch 40. Pull working loop big and remove hook. Thread the starting end through the center dc of one of the end shells, and pull through until it’s at the working loop. Re-insert hook, and sl st in each ch to end. Break yarn and finish off, tying ends together and trimming nicely. Repeat on other side. Have a great weekend everybody! I love to read your comments, and remember, you are my pattern testers, so let me know if have any questions! I hope you like this one! 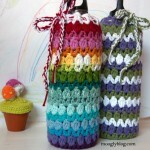 Lovely stitch and colors! Thank you for the tut and pics. 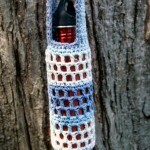 Thank you, this crocheted up so quickly (one night watching tv) and will make a 4 year old girl happy. It’s a beautiful pattern. Thanks for sharing! Thanks so much for this pattern! I need a headband to keep my hair out of the way at school, since my bangs are always in the way! Thanks again and i hope you have a great day/night. I’m definitely going to try this! 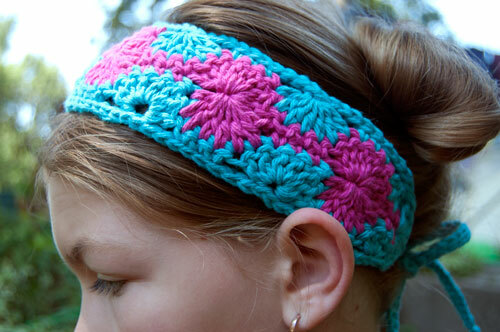 I’ve been searching and searching for a headband pattern for my sister’s Christmas gift. Hi Lauren! 😀 I named it Catherine because the spiky stitch pattern is called the Catherine Wheel Stitch. Why it’s named that I have no idea! I hope your sister likes it! For the Catherine Wheel Stitch? I can definitely add it to the list! These are fabulous! I am sharing on my blog!!! I love these colors….thank you so much for sharing! What a *smart* pattern for a break from bigger projects! Thanks so much! Hi Gail, I’m afraid I don’t have that one that I know of. Hi…I’m currently doing this headband & I’m at a lost. In row 1, you mentioned about changing colors but in rows after that, there’s no more. I hope you can help me find my way back. Thanks! I don’t understand how to “dc7tog over the next 7 sts.” Can anyone help me out?